The winds of change are blowing in the People’s Republic of China. As the Chinese leader, President Xi Jinping, consolidates greater amount of power toward his office (all in the name of “anti-corruption” campaigns), the Chinese military also increases its aggressive actions abroad. This, at a time when the Chinese economy, while still performing better than most others in the world, is rapidly slowing down. Should the economy continue its precipitous decline (predominantly in demand), then the Chinese people may finally decide that the Communist Chinese Party is no longer worthy of their support (after all, the repressive and autarkic nature of the regime leaves much to be desired, wouldn’t you say?). Thus, the Chinese regime has a vested interest in appearing strong and still powerful, despite the ongoing decline in economic growth. Toward that end, the incoming Trump Administration should expect a high degree of tension early on in its first year. Such tension is nothing new. Indeed, China has tested many presidents in the modern era. George H.W. Bush had to handle the Tiananmen Square massacre at the same time he was helping to end the Cold War. In 1996, the Clinton Administration dealt with the Taiwan Strait Crisis. The George W. Bush Administration had to resolve the E-3 Spy Plane Incident over Hainan Island in April 2001. The Obama Administration had to contend not only with agitation on the part of the Chinese over his desire to meet with the Dalai Lama, but also with years of Chinese revanchism in the South China Sea. Needless to say, China will test incoming American leaders. 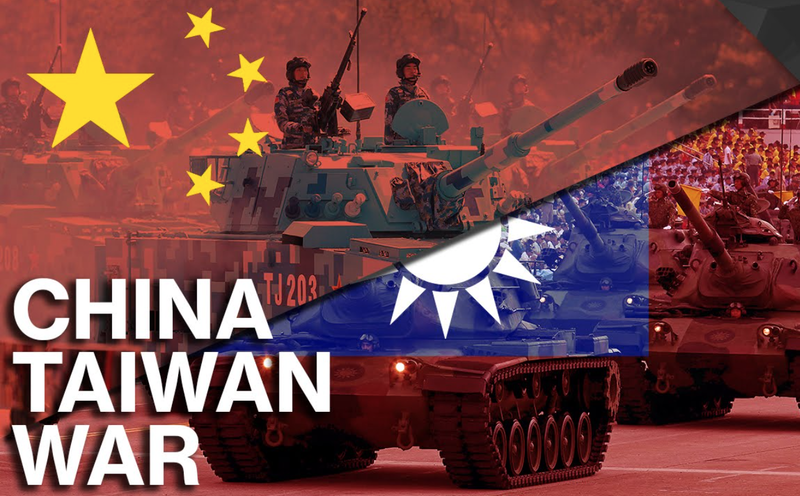 This has been compounded, however, by the stark economic and political reality within China as well as President-elect Trump’s threat to recognize Taiwan as an independent nation-state. While many observers in the West believed that Mr. Trump’s statements were made out of naïveté, it has since come to light that the President-elect planned to receive his now infamous call from the Taiwanese president early on. This is likely due to the fact that Mr. Trump has a long history of chastising China for unfair trade practices that disproportionately harm American workers and debases the U.S. economy, as I documented in another article. The current Taiwanese president, Tsai Ing-wen is the head of the Democratic Progressive Party (DPP) of Taiwan. As of January of 2016, the DPP holds a majority of the political power in Taiwan. The DPP is also rabidly pro-independence. As in, the DPP is opposed to Taiwan being returned to China, either through force (as the Chinese routinely threaten to do) or through diplomacy (as the DPP’s major political rival, the Kuomintang Party, has previously sought to achieve). The fact that not only Donald Trump upended the forty-year One China Policy, but that he also fielded the congratulatory call from President Tsai Ing-wen was doubly insulting to the Chinese. It also raised far more alarm than it ordinarily would have. Had it been a Taiwanese president who hailed from the Kuomintang Party (KMT), it would have still evoked a strong negative reaction, but it might have been blunted, since the KMT have become the unofficial party of peaceful unification with China. Since it was the leader of the DPP, however, the Chinese leadership felt especially slighted. Such a move should have been wholly unsurprising to any astute observer of Donald Trump. Unfortunately, as I’ve noted elsewhere, many foreign governments get their information from the Western mainstream media. I suspect the Chinese are no different. They were as likely taken by surprise when Trump won as the Clinton campaign was. Thus, we should not expect the Chinese to have anticipated or understood the nature of the phone call between President Tsai Ing-wen and President-elect Donald J. Trump. Since his early days as a maverick real estate developer in New York (as was documented in his first best-selling book, The Art of the Deal), Donald Trump has proven himself to be a master negotiator. He routinely tends to overstate his case in the run-up to a negotiation settlement, asking for far more than he knows he can ever get, and seeing how much the other side is willing to trade away in order to reach an accommodation in his favor. This, I believe, explains his tactic of speaking with the Taiwanese president over the phone shortly after having been elected as President of the United States. It was a clear and decisive signal to the Chinese that things are going to be shaken up. No longer would the United States tolerate the kind of freewheeling behavior of the Chinese on the world stage. The United States, according to the President-elect, has a say in how things turn out–particularly when it comes to the U.S.-China relationship. The decline of America in the Sino-American relationship will no longer be a fait accompli. However, Mr. Trump’s decision to field the congratulatory call from the Taiwanese president happened in the larger context of deteriorating Sino-American relations. The Chinese are suffering through a painful period right now in which they must make the vital turn from being a developing, predominantly manufacturing economy, into a developed, predominantly information, post-modern economy. Such a prospect sounds simple enough, but for a nation like China, whose population is unevenly distributed and where talent is closely aggregated in the limited coastal metropolises, the transition may very well prove to be their undoing. This is particularly true if an American political leader arises with intentions of fundamentally altering the U.S.-China economic balance, as Donald Trump has threatened. In the Trump Administration, business as usual with China will no longer be the policy of the U.S. government. This is a very good thing. But it also comes with great geopolitical risk. That risk is in the form of greater tensions and, God forbid, actual conflict between the U.S. and China. There’s something more to this as well: recently China suffered a major blow to its legitimacy in the ongoing South China Sea dispute. Recently, the international arbitration panel adjudicating China’s claims over various territory in the South China Sea ruled in China’s disfavor. The arbitration panel determined that China’s land reclamation program throughout the South China Sea was, in fact, in violation of international law. For years, China has been aggressively claiming parts of the South China Sea that it claims is its own territory, but that are actually outside of the legitimate border demarcations of China. In response, the Chinese government claimed that the territory was theirs before the European powers–and Japan–came in and colonized them. This, they claim, makes it impossible for the Philippines, Vietnam, Japan, or any other Asian state to make claims in this region (it also doesn’t hurt that the territory the Chinese are claiming happens to be chock full of natural resources–notably natural gas and, yes, an abundance of fish). A map of China’s “cow’s tongue” or, “Nine-Dashed Line” territorial claim vs. the UNCLOS boundaries. The Chinese claim is, by definition, a revanchist claim that is wholly baseless (since international law is not based on historical grievances, rather on mutually agreed upon, sensible claims). Nonetheless, after the ruling was made, the Chinese have redoubled their attempts to turn the coral reefs into usable islands and have begun placing heavy duty weapons on those islands. Essentially, they are daring the world to come and take the islands away from them. Thus far, no one has had the gumption to do much more than lodge an official complaint. British troops seize the hot and undeveloped land of Hong Kong during the First Opium War. From 1836 until 1997, Hong Kong would be transformed into a glittering jewel in Asia. In the 1990’s, British Prime Minister Margaret Thatcher and Chinese Premiere Deng Xiaoping agree to fulfill the handoff promised to China in the 19th century. This sealed Hong Kong’s fate. Also, as this has occurred, the Special Administrative Region of Hong Kong has seen an increase in separatist sentiment. This should not come as a surprise to the Chinese leadership. Indeed, when the British Empire captured Hong Kong during the First Opium War (1839-42) they essentially signed a deal with the Chinese government that they would retain the small territory until the year 1997. Whether anyone who made the deal or not actually believed that the British descendants in 1997 would fulfill this agreement is an irrelevant postulation, the fact is that the British government did, indeed, hand the capitalist and democratic Hong Kong over to the autarkic Chinese Communist Party. (Left) The Honorable Leung Chun-ying, the current Chief Executive of Hong Kong standing beside (right) Chinese President Xi Jinping. It is widely believed that the Honorable Leung is, in fact, a closeted Communist with deep and abiding sympathies toward Beijing. To ensure that the British fulfilled their end of the agreement, though, the Chinese promised to grant a special status to Hong Kong: it would be a part of the People’s Republic of China, yet it would not have to conform to the authoritarian state of China immediately. The people of Hong Kong would be able to rule themselves democratically and elect their chief executive. It would effectively be a free city that would slowly have to pass reforms which would make it more of a Chinese domain and less of a bastion of Western liberalism. Massive anti-Chinese Communist Party protests in the streets of Hong Kong in the run-up to the September elections in 2016 which saw an unprecedented number of anti-Beijing legislators winning local office in Hong Kong. Since 1997, Hong Kong authorities have implemented these slow “reforms” designed to move Hong Kong toward being just another Chinese city as opposed to a Special Administrative Region. And, as the preeminent Chinese scholar out of the University of Pennsylvania, Arthur Waldron, points out: the Chinese leadership has “gotten cold feet” about Hong Kong’s democratic self-rule and they have repeatedly broken their promises to the people of Hong Kong since 1997. Many Hong Kongers are growing weary of the increasing influence of Chinese Communist authorities. On September 4, 2016, in keeping with the incredible global trend of nationalism, the people of Hong Kong voted overwhelmingly to place opposition legislators in their local government who would outnumber the pro-Beijing legislators. In so doing, the people of Hong Kong ensured that their local government would be unable to implement Beijing’s ultimate goal of totally subordinating Hong Kong to its rule. Of course, Beijing still retains the power to force Hong Kong to heel, but the denizens of Hong Kong have assured that no legitimacy could be conferred upon any aggressive move by Beijing toward Hong Kong, as a majority of their democratic local leaders oppose any moves. The people of Hong Kong are essentially daring the Chinese government to crack down on them. Such a move would only harm China’s prestige, as they would be seen as crushing the will of 7.4 million (mostly free) people in Hong Kong, all in order to affirm the Chinese Communist Party’s control. The economy in China is necessarily slowing, not only due to decreased demand, but also simply because no state could ever hope to maintain the meteoric growth rates that China has experienced for the last thirty years indefinitely. As such, the political system will suffer convulsions. We are already seeing those convulsions manifest themselves in the form of President Xi Jinping’s ceaseless consolidation of power. At the same time, the country’s inner regions are racked by increasing levels of unrest. While that occurs, China’s citizenry in the more developed coastal metropolises are demanding greater rights. Plus, separatism in restive Hong Kong and unruly Taiwan are gaining unprecedented levels of traction. This, at a time when nationalist reaction to increasing centralization (and, more importantly, to globalization) reaches peak levels around the world. Meanwhile, abroad the Chinese increase their boorish behavior to unacceptable levels. During this period of uncertainty, the U.S. has elected the first anti-Globalization leader in decades. His first target has been the Sino-American relationship. All of this portends that China, with its newfound military strength, growing economic sluggishness, and increased political instability will seek to challenge the Trump Administration early on. They will likely challenge Mr. Trump’s presidency early on regarding Taiwan. In such a case, the Trump Administration must reaffirm America’s commitment to protecting Taiwan at all costs. What’s the solution you ask? Strength. The United States must stand firm in the desire to reorder our trade relationship with China. We must force them to make changes that they have otherwise been unwilling to make, thereby undoing the strategic imbalance between the U.S. and China (that happens to be mostly in China’s favor). Once that is done, the U.S. must turn to the military and diplomatic side of the relationship. The United States needs to ensure that its allies’ sovereignty in Asia is respected by actually completing the so-far unimpressive pivot to Asia that the Obama Administration haphazardly began. Lastly, the U.S. must increase its overall military capabilities to such a size–and embrace a far more aggressive, forward-leaning military doctrine–that it deters China’s more grandiose aggressive behavior and assures our allies.